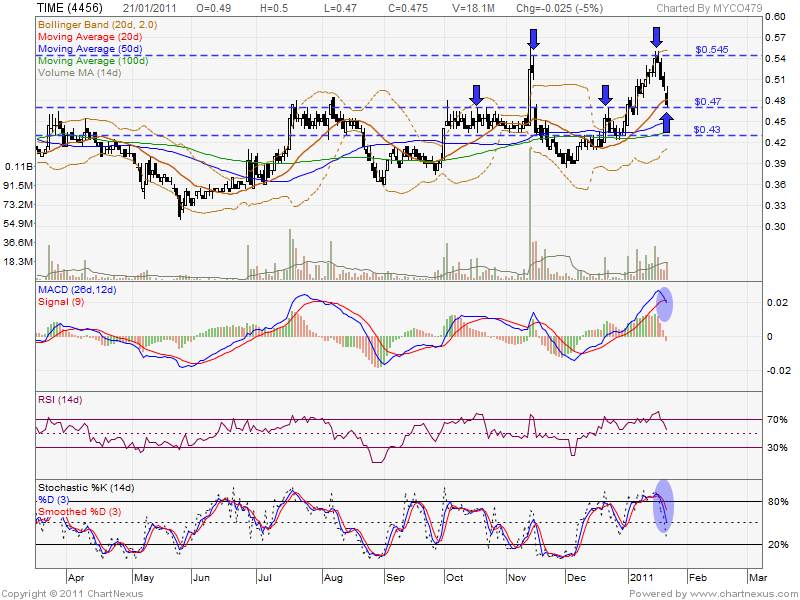 On 17 Jan 2011, TIME retest RM0.545 resistant level BUT unable break up & start retrace down. On 21 Jan 2011, it was retest RM0.47 support level. 1. Candlestick no reversal sign been formed yet. 2. MACD formed bearish crossover. 3. Stochastics %K no trigger a buy call. If future retrace down, may look for RM0.43 support level. 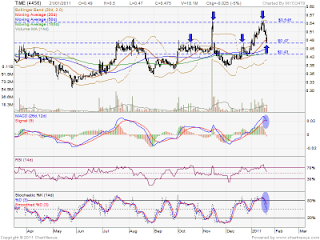 However, if rebound, it might retest RM0.545 resistant level. Let keep in watch list & watch closely for entry opportunity.